Just like you used to get at the fair! In a medium bowl, mix corn starch, nutmeg, sea salt, baking soda, baking powder and flour. Set aside. In a large bowl, whisk the eggs, vanilla, sweeteners and milk. Add flour mixture and mix until combined (should look like thin pancake batter). If needed, add more milk, but use only enough to achieve desired consistency. Batter needs to be thin enough to run through a funnel. In a six inch skillet, pour in one inch of vegetable oil, heat the oil to 375 degrees. Put your finger over the bottom opening of a 1 cup funnel, and fill the funnel ⅓ of the way with the batter. 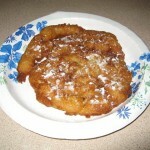 Hold the funnel close to the surface of the oil, let batter drizzle into hot oil starting at the center and expanding in a circular motion, criss-crossing with the last bit of batter. Fry until golden brown. Using tongs and wide spatula, turn the cake over carefully. Fry the second side until golden. Drain on paper towels, and sprinkle with sifted LC-Natural Confectionery Powder and cinnamon or sugar free maple syrup. 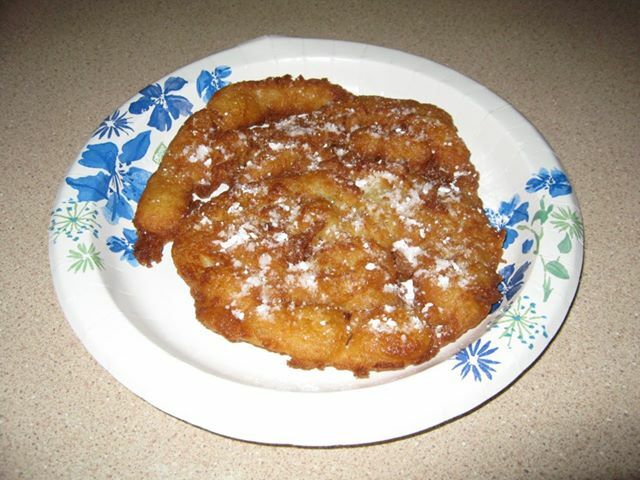 Make funnel cakes right before you plan to eat them, they will slowly lose their crispness over time. Recipe can be halved.